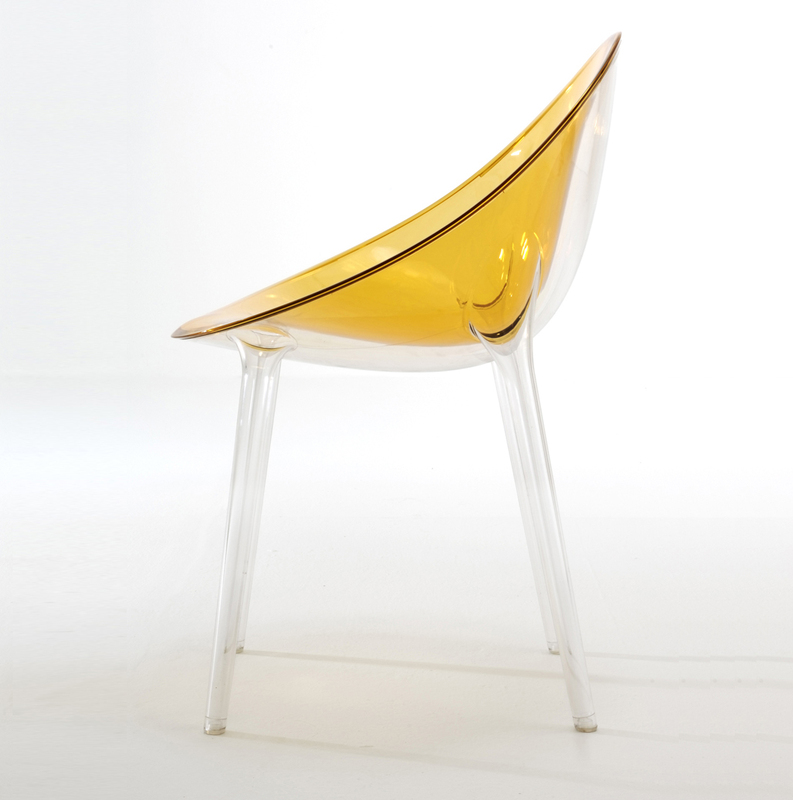 When Kartell released the La Marie chair (given product code 4850) by Philippe Starck in 1998, it was the first completely transparent chair made from a single polycarbonate mould. Kartell has been a pioneer in research and development of the technical expertise necessary to execute designs out of polycarbonate, a material both more expensive than and more difficult to use in injection moulding. The La Marie chair. Image source. Starck certainly drew from the Ero|S| chair as inspiration for the Mr. Impossible Chair (given product code 5940). The seat was given its name on the first sketch. Originally, the concept was to bind two separate polycarbonate sections together without adhesive, which initially seemed impossible. Joining techniques that existed at the time would have left a visible and unsightly seam. The Mr. Impossible chair was launched at the Milan International Furniture Fair in 2007. The Mr. Impossible chair. Image source: Plataforma Arquitectura. Click below to be taken to the Plataforma Arquitectura site. The speed of evolution for our civilization and the dematerialization that rules all our production. Take the computer: It was the size of a room, then a briefcase. Now it’s a credit card. You cannot dematerialize a chair completely, because you must continue to sit on it. But you can make it invisible. That’s why I made the Mr. Impossible with a double shell – it’s basically made of air. Mr. Impossible was designed in collaboration with Eugeni Quitllet. Born in April, 1972, Quitllet began studying design at the Ibiza art school in 1991 and earned a Diploma of Design and Interior Design at La Llotja (Spanish for “The Exchange,” so called because it is located on the top floor of the stock exchange. The school boasts Pablo Picasso and Joan Miró as attendees) art school in Barcelona, Spain in 1996. Quitllet met Starck in Formentera in 2001 and has worked with him on numerous projects. The Magic Hole trio of two seater sofa, and two armchairs for Kartell come to mind as another outstanding result of their work together. Mr. Impossible technical data sheet. The seat is made of transparent or batch-dyed polycarbonate and the frame is made of transparent polycarbonate. There are two molds, one for the sear and one for the legs. The two parts are welded by laser to produce a nearly indestructible, colorful, textural and seamless design. Close up of the Mr. Impossible chair. A selection of Mr. Impossible chairs in a variety of colors. The Mr. Impossible chair comes in 9 colors, transparent: crystal, green, grey, ochre, purple, and red orange, and opaque: Kartell red, white, and black. The Mr. Impossible chair is 55 cm wide by 54 cm deep and 84 cm tall. The seat height is 46 cm. A short design and history video of the aptly named Mr. Impossible chair from YouTube. Philippe Starck with Mr. Impossible chairs. Image source: Indish. New York Kartell flagship in May, 2008 exhibiting and celebrating the Mr. Impossible chair. Image source: Mocoloco. 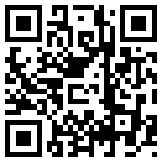 Click the logo to the right to be taken to the Mocoloco site. Gaut, Adrian. (2009, September). Design: Impossibly Starck. Wired, 88. Do Stark and Quitllet copied two IED Students? Philippe Stark and Eugeni Quittlet. festival knowing that this sofa concept already exists. see how similar are the designs I can send it to you. writing to every blog where I found the Stark and Quitllet names. and I'm really pist off about this issue.